Zhaku, Boby, and Lenci are the three lions rescued from Safari Zoo Park in Fier following an article by Daily Mail. On 14 April, the Mail Online reported again about the three lions that are now kept in tiny pens at the premises of Tirana Zoo since October 2018. According to Daily Mail, Zhaku 12-years-old and Lenci and Boby both eight-years-old are stuck in Albania due to a bureaucratic dispute over the documents that can allow them to leave the country. The article highlights that the international animal charity, Four Paws, which carried out the rescue last October has had to abandon two attempts to get the lions out of Albania because the authorities are refusing to issue the correct documents. “This was meant to be a temporary arrangement until we could take the lions to our big cat sanctuary in the Netherlands. Once they recover sufficiently, they would go on to our base at Lionsrock in South Africa and roam with plenty of space. We’ve worked successfully with the Albanian authorities in the past and can’t understand what the holdup is this time. The lions need some further medical procedures. Lenci has an eye condition. One of our surgeons operated and managed to save his sight but it needs monitoring. ‘Tirana Zoo is doing its best but the facilities are just not adequate for big cats. They’re becoming more distressed and need to get to a better place quickly,” director of Four Paws’ wild animals’ department Ioana Dungler was quoted as saying by Daily Mail. 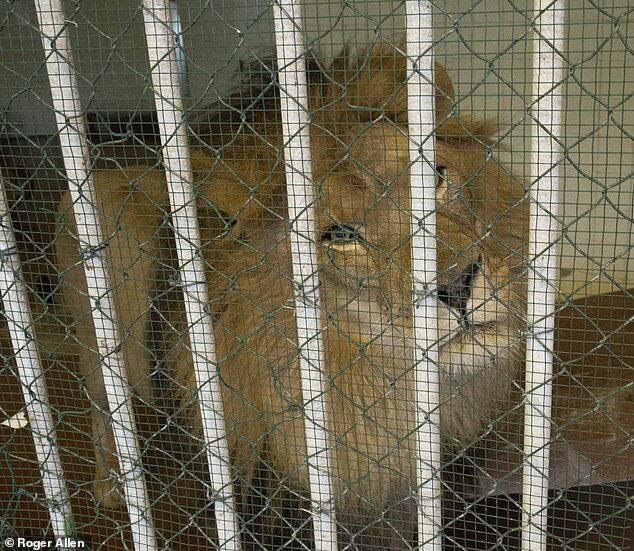 Moreover, Albanian tourism ministry told Mail Online the lions could be held in their tiny cages until September. “A spokeswoman said: ‘The original owner is claiming compensation in the courts for loss of business. He doesn’t want the animals back, but until the court case is resolved the lions cannot leave the country,” Daily Mail reported on Sunday.